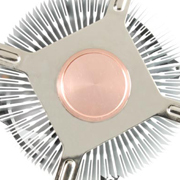 In pursuit of high heat dissipation performance, the most commonly use of the heat source is “Heat pipe”. 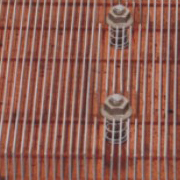 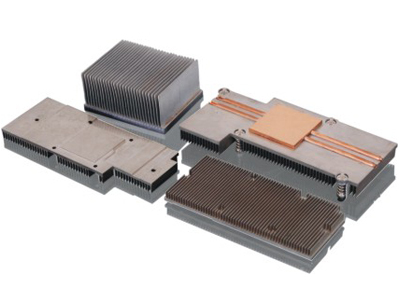 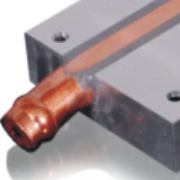 Heat pipes offer high effective thermal conductivities. 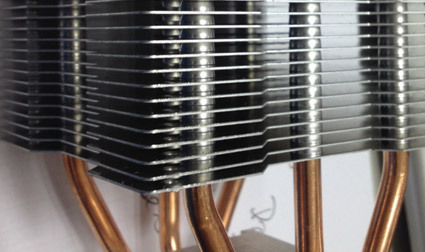 Heat pipes transfer heat more efficiently, EVERCOOL insert fins onto the end of the heat pipe which enables coolers to transport heat from the heat source and dissipate it to the ambient via fins. 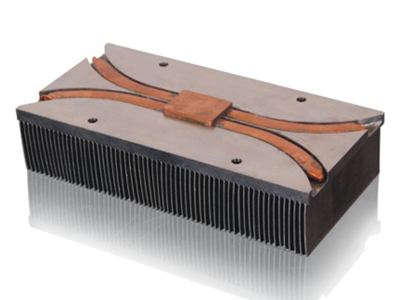 A plurality of heat transfer fins are disposed parallel and perpendicular to the extension of the heat pipes. 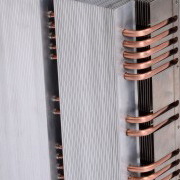 It’s a high-efficiency environmental process and is suitable for cooling in limited space..